This week has flown by! ( As a matter of fact, where did February go?? I cannot believe it is almost March!) The weather was absolutely glorious here on the weekend…warm-ish, and sunny and lovely. You could definitely tell Spring was on its way. And then everything went downhill after that…..rain, cold , wind, wet snow…..sigh. I guess I will just have to wait a wee bit longer for that nice weather! In the meantime I did get to enjoy a pretty sunshine-y bouquet of flowers! I also got to work on a few fun projects! 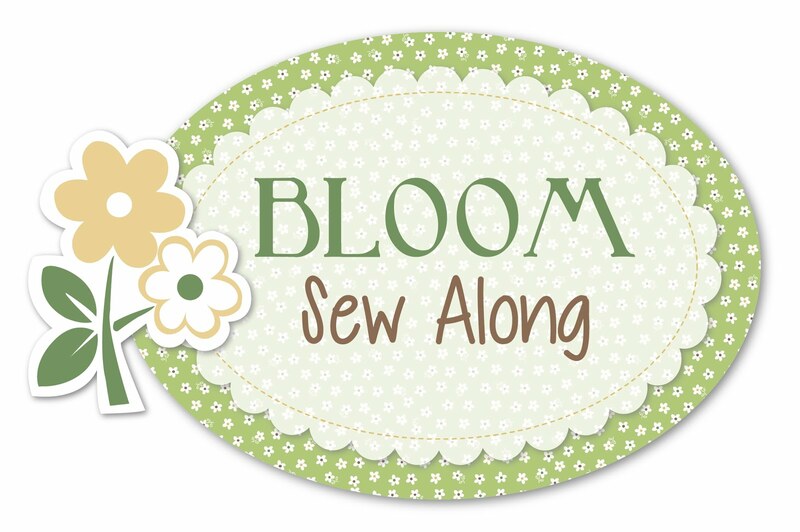 As you know I am participating in the BLOOM sew-along by Lori Holt. Every Monday she posts a new block with instructions on how to complete it. So far I have been able to keep up. I was a little behind last week, but this week was Johnny-on-the-spot and got it pieced and quilted right away. This is going to be one wild and crazy-colorful quilt, but I think it will be very cute! I also worked on the row quilt that Martingale is putting on. I completed the Scottie Dog row and then could not resist starting the Wash Day row! Neither one of them is quilted yet, but that might have to wait until some evening or the weekend. Aren’t they the cutest? I am totally in love with these rows! I think next I’m going to piece some of the “connecting” rows, because I might just get lazy and leave those out completely at the end if all my other rows are done. And I think the quilt will look even better with those connecting rows! This past week I did a little bit of shopping and came home with NO FABRIC ( yeah, me!) and two adorable books. 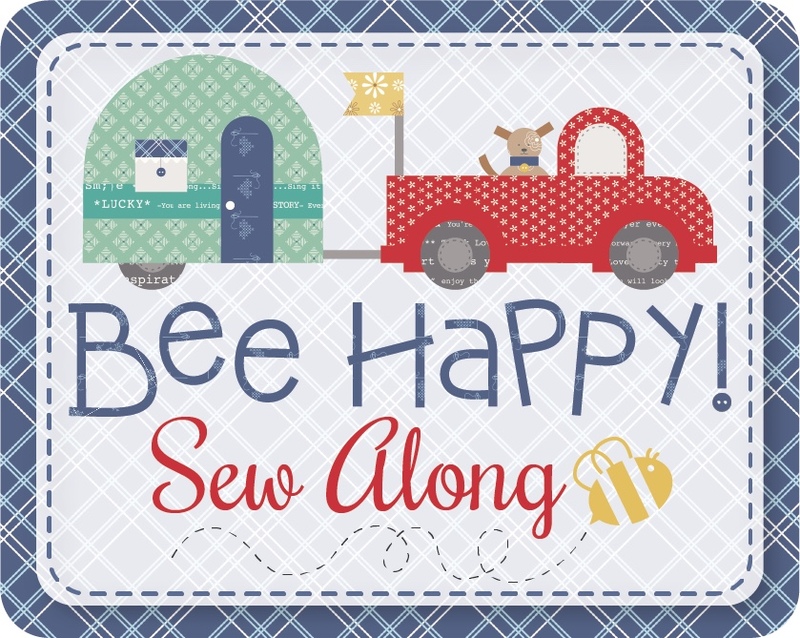 I had been having so much fun working on my stitchery that when I spotted this book I couldn’t resist! ( See that adorable mermaid? And that toadstool? And that gnome??). Come on….I HAD to buy it! The quilt label book I am hoping will encourage me to actually put labels on my completed quilts! I am very, very terrible about doing that! ( Unless it is a gift for someone). Seeing as these are iron-on I should have no more excuses. And finally, I found this cute little sign at a little shop nearby and just had to buy it to hang in my room. Oh yes, absolutely true! That scotty dog is adorable! Now make one in white and it looks like my doggie! Haha, yes, that would be perfect, wouldn’t it?! I just LOVE LOVE LOVE the Martingdale row quilt – the Scottie dogs are adorable and the colours are PERFECT! I can’t wait to see it finished! Thanks, Deb! Why don’t you make it too?? I’m vey tempted. Where can I find the pattern? Sure thing…good luck, and enjoy!